Whether you watch it or not, RuPaul’s Drag Race has sashayed its way into pop culture, garnering a broad and varied audience across the globe. Over ten seasons, we’ve seen the reality TV programme go from strength to strength and help launch the careers of people like Courtney Act, Bianca Del Rio, Trixie Mattel and Katya. Of course, it’s not just the contestants and their lip-syncing skills that viewers tune in for. Host RuPaul is now a household name, becoming one of the most influential and commercially successful drag queens, and helping to expose LGBT culture to the mainstream. One of the reasons for the success of RuPaul’s Drag Race is the host’s unwavering wit. He consistently mocks the contestants and makes light of situations that can often be taken far too seriously. His latest joke, however, seems to have pushed things a little too far for some people. Show your inner saboteur the door! ?/? Let’s get into this Evil Twins gig, y’all! #DragRace starts now, East Coast!! West Coast kitty girls, see you at 8p PT! ? In the latest episode of the show, the remaining drag queens were challenged with creating an ‘evil twin’ of themselves, where the queens would hit the catwalk as the best and worst versions of themselves. While it was meant to be a chance for the contestants to face and ultimately overcome any negativity by embracing it and empowering themselves in the process, RuPaul’s throwaway joke at the beginning of the challenge was harder to throwaway for some viewers than others. Hey racers. It’s time to split… personalities! I want to see some civil disobedience, so double down, all aboard the bipolar express. The Queens served the yin to their yang in this week's Evil Twins maxi challenge! ?/? As you can see from some of the contestants’ reactions, the introduction of the challenge didn’t come across very well, as they stared at the screen absorbing what RuPaul had just said. That or they were just wondering how the challenge would indeed unfold. Viewers took to Twitter to criticise the joke, calling it ‘wrong’, ‘dangerous’ and saying it ‘trivialises’ mental health issues. If you didn’t take issue with RuPaul using references to bipolar and dissociative identity disorder to introduce the evil twin challenge, then maybe you should reconsider your relationship with mental health stigma! the problem w rupaul saying ‘bipolar express’ is that this causal use of bipolar as an adjective/joke will make others think that it’s okay for them to grossly misuse the word too, same as when miz cracker said it in meet the queens. the problem w rupaul saying 'bipolar express' is that this casual use of bipolar as an adjective/joke will make others think that it's okay for them to grossly misuse the word too, same as when miz cracker said it in meet the queens. 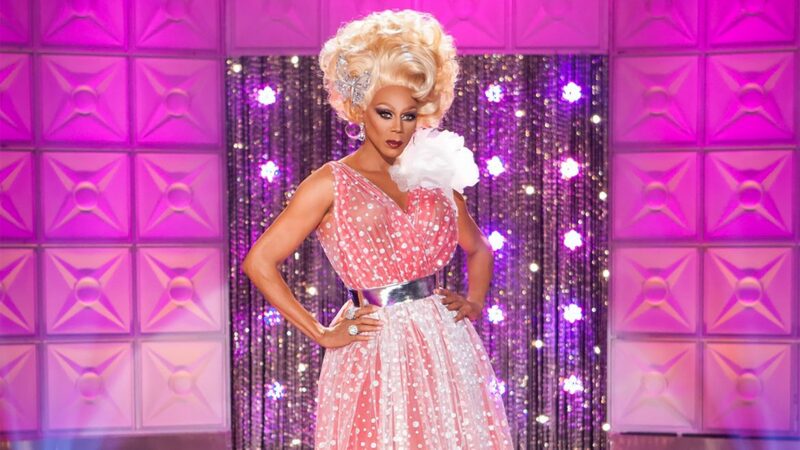 The concept of the task was praised, however it was RuPaul’s delivery that viewers found insensitive to those with mental health issues.